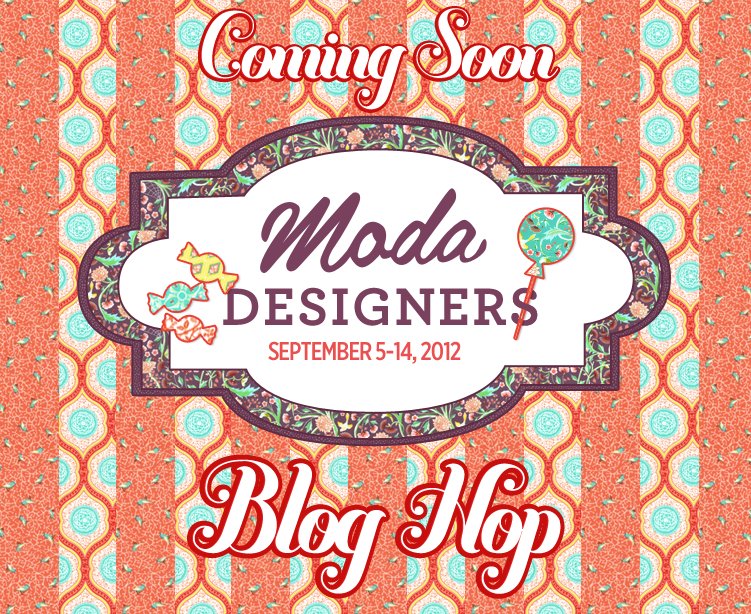 Moda’s having a Blog Hop and we’re in it! Every year Moda has a big Blog Hop… where all of their fabric designers will post a free pattern as well as some funny stories that revolve around a pre-determined theme. This year the theme is “Your Home Town”. It’s going to be a blast! 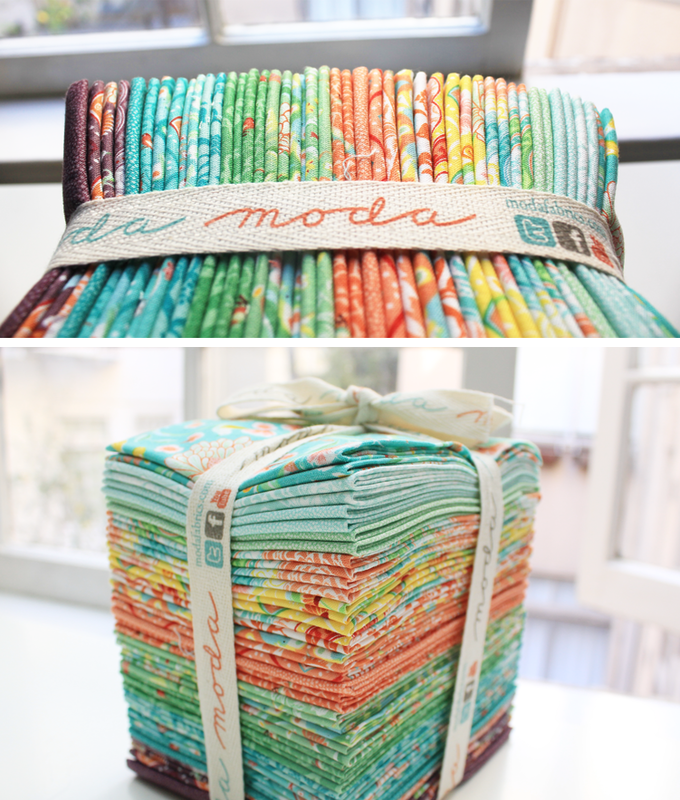 The free projects this go-round will be featuring Moda’s newest “precut”, Moda Candies. The packs include 2 or 3 little 2½″ squares of each fabric in a line. And they’re adorable! See below. 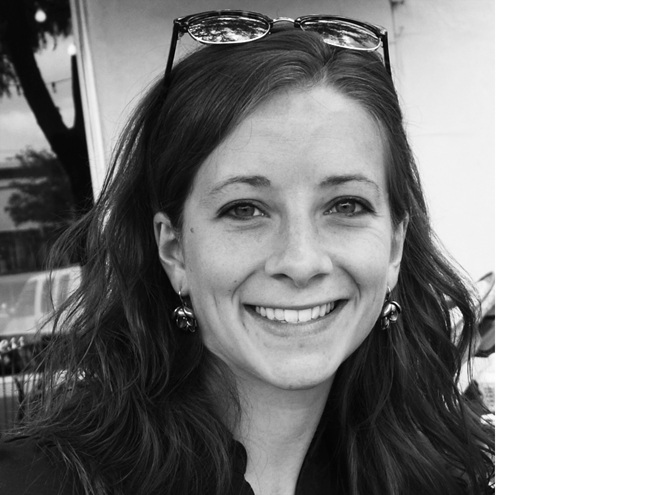 SEPT 9 : Pieces From My Heart / Lauren and Jessi Jung / Fig Tree & Co.
SEPT 13 : Kathy Schmitz / Sweetwater / V and Co. The best part is, we’re all giving away free stuff! Whoohoo! Who doesn’t like free stuff, right? My blog will be giving away 2 layer cakes and a jelly roll of our newest line, Birds & Berries… as well as a few other super awesome prizes that will be announced later. So get pumped! And make sure to stop by our blog on September 9th! You can also see more about the Blog Hop on Moda’s blog. Love the post … The story is adorable!!! I can’t believe people … LOL!! I thought my my FIL while reading that – cause it’s something he would have done! (both sides!!) 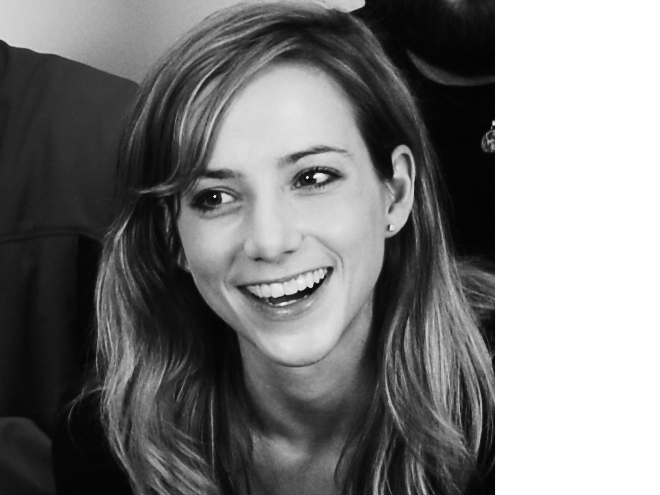 And I really enjoyed reading your previous blog post too! 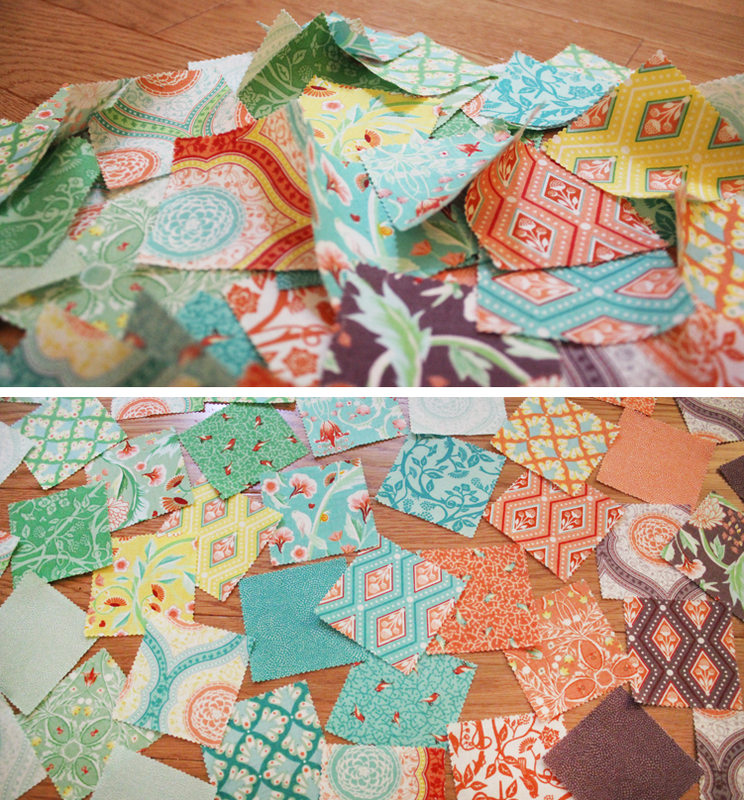 Love your giveaway fabrics and hope to win one of them. You are definitely my kind of shopper. Love getting a bargin for sure. Love your birds and berries line…great business idea. You may be surprised at how well I really will do. Good for you!